Prenatal vitamins: are they worth it? Prenatal vitamins have long been considered a crucial element to a healthy pregnancy. But are they really necessary? When it comes to preventing heart disease and cancer, a study published recently in the Archives of Internal Medicine finds that being diligent about taking a daily multivitamin may not be as beneficial as simply having a nutrient-rich diet. And the same idea holds true regarding the benefits of taking prenatal vitamins during pregnancy, says Charles Lockwood MD, the chief of obstetrics and gynecology at Yale-New Haven Hospital. “If you eat a balanced diet and are not iron deficient, it is not clear that prenatal vitamins result in any health benefits during pregnancy,” Lockwood told Health.com. According to a paper published recently in the British Medical Journal's Drug and Therapeutics Bulletin, there is no evidence that any vitamins and nutrients other than folic acid and vitamin D helped to prevent birth complications. "Women can be reassured that taking a folic acid supplement ... and vitamin D is all they need to do, and can save themselves a great deal of money not buying expensive branded multivitamins," Dr. James Cave, editor-in-chief of the bulletin and a practitioner at the Downland Practice in Newbury, Berkshire told CNN.com. Still, doctors here in the U.S. say there are benefits in having pregnant women take prenatal vitamins. One of which being that it’s often easier for moms-to-be to take one supplement rather than many. While prenatal vitamins may not be as imperative to the healthy development of a fetus as many mothers, grandmothers, and doctors would have expectant mothers believe, experts say they shouldn’t be forgotten altogether. 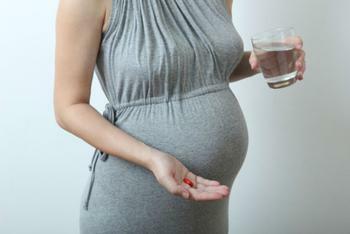 "It's not time to abandon the multivitamin or prenatal vitamin and it's not one size fits all," Dr. Scott Sullivan, an associate professor at the Medical University of South Carolina, told CNN. "Nutrition is important in pregnancy, and should be maximized," he says, adding that the task of choosing a prenatal vitamin should be an individualized choice made alongside a woman's OB-GYN while paying close attention to the aforementioned nutrient minimums.